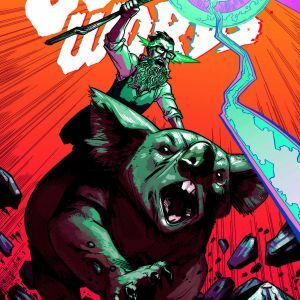 Image Comics is pleased to reveal CURSE WORDS #3’s Paolo Rivera cover in time to tease the legions of fans hooked on Charles Soule and Ryan Browne’s hot new series. 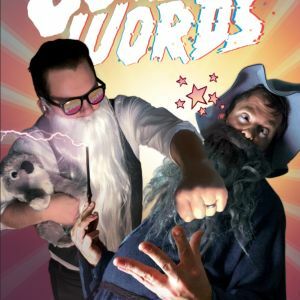 CURSE WORDS #1 and #2 will also be rushed back to print in order to keep up with the rapidly growing audience. From Charles Soule (Daredevil, Death of Wolverine, Star Wars) and Ryan Browne (GOD HATES ASTRONAUTS), CURSE WORDS is COMING FOR YOU! A wizard has appeared in New York City, and he's casting wonderful spells, getting famous, getting rich—it's great! But it's not. This wizard has everyone fooled. He is actually an EVIL WIZARD, and EVIL THINGS are on the way. 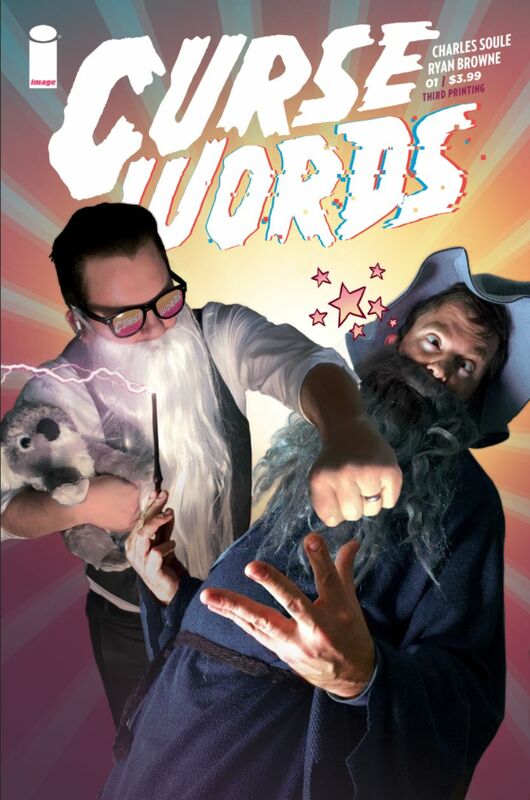 CURSE WORDS is a gonzo modern fantasy, full of darkness, light...and MAGIC. 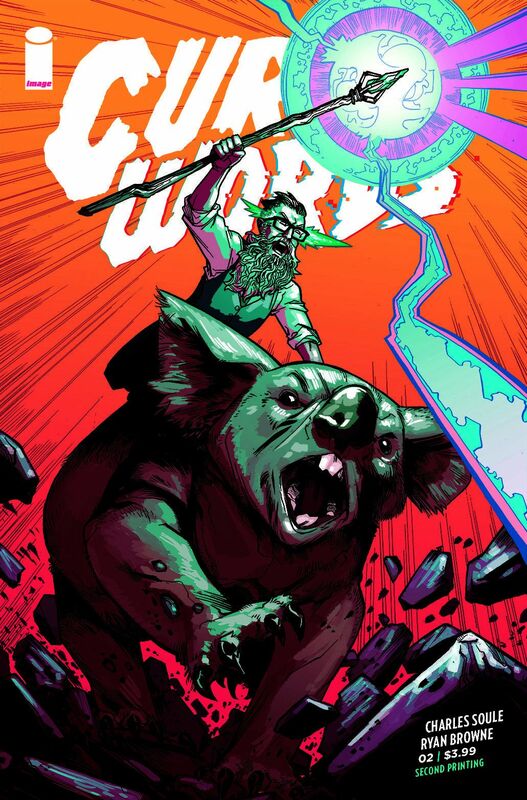 CURSE WORDS #1 and #2 remain available for purchase across all digital platforms, including the Image Comics website (imagecomics.com), the official Image Comics iOS app, Comixology’s website (comixology.com), iOS, Android, and Google Play. 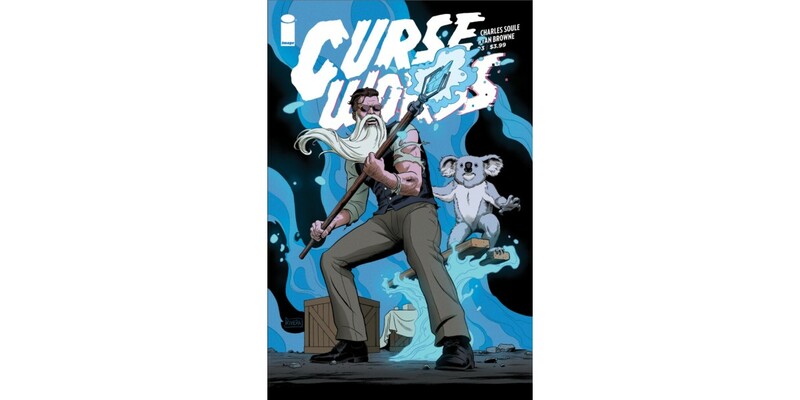 CURSE WORDS #1, 3rd printing (Diamond code: JAN178370), CURSE WORDS #2, 2nd printing (Diamond code: JAN178371), CURSE WORDS #3 Cover A by Browne (Diamond code: JAN170724) and CURSE WORDS #3 Cover B by Rivera (Diamond code: JAN170725) will be available on Wednesday, March 22nd. The final order cutoff deadline for comics retailers is Monday, February 27th.